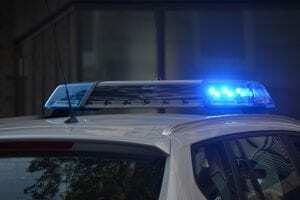 Buffalo, NY (March 25, 2019) – A vehicle was reported to have crashed with a police patrol car on Saturday morning, March 23rd, according to authorities. The collision was stated to have happened around 8:15 a.m. in the 1600 block of Bailey Avenue, prompting responses from law enforcement and paramedics. According to police, a female officer had been traveling in a patrol car when the driver of another vehicle collided with the cruiser for unknown reasons. It has not been reported as to whether or not the officer had emergency lights or sirens activated at the time. Emergency medical crews who were called to the scene arrived and transported both the officer and the other driver to Erie County Medical Center. The extent of injuries suffered during the collision has not been stated, although the officer has since been released from the hospital. Weather could have possibly contributed to the cause of the accident; however, the events that led to the crash are currently under investigation. No further information has been provided. Our most genuine sympathies are wholeheartedly extended to both victims, first and foremost, as we preserve hope for their full recoveries. Car accidents in New York are often injurious or fatal, as they are often the result of high speeds and negligent behavior. Moving forward, it is imperative for victims to understand that they may have substantial rights to follow. Our New York accident attorneys at Hach & Rose have devoted their lives to helping those who have suffered due to the actions of another party. We realize that there is almost nothing as stressful as dealing with the repercussions of a sudden accident, and we are here for you 24/7 to answer any questions you may have at this time. If you have been hurt in a car accident due to another driver or other negligent entity, please don’t hesitate to call 212-779-0057 today.